BMW and Daimler's autonomous driving technology will stop short of level five -- which would see the on-board computer take over completely from the human driver under all circumstances. German high-end car giants BMW and Mercedes-Benz maker Daimler AG said on Thursday they would work together to develop automated driving and driver assistance systems, the latest cooperation for the historically fierce rivals. The two manufacturers have sealed a "long-term, strategic co-operation to make next-level technologies widely available" by around 2025, they said in a joint statement. Munich-based BMW and Stuttgart's Daimler plan first to focus on so-called level three and four systems on an internationally-recognised scale for automated driving. They will stop short of level five -- which would see the on-board computer take over completely from the human driver under all circumstances. Rather, the hoped-for technology will at first offer driving and parking assistance and limited autonomy on motorways. "Instead of individual, stand-alone solutions, we want to develop a reliable overall system," said Daimler board member Ola Kallenius, who is set to take over from departing chief executive Dieter Zetsche in May. The firms would "discuss the possibility of extending their collaboration to cover higher levels of automation, both on highways and in urban areas," they said. "Other technology companies and automotive manufacturers" could be invited aboard in future, the companies added. 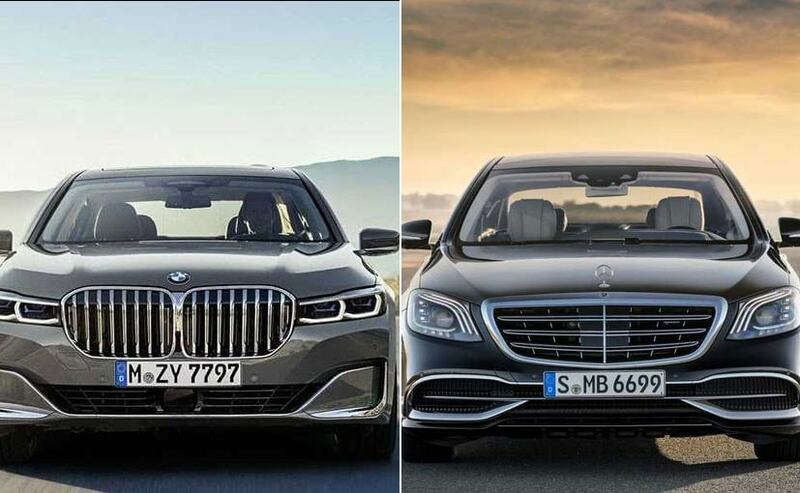 Thursday's announcement marks the latest cooperation between BMW and Daimler, who have otherwise been locked for years in a near neck-and-neck race for dominance of the global high-end car market. Last week, the groups announced a one-billion-euro ($1.1 billion) investment in combining their carsharing and other apps into a joint scheme offering short-term rentals, parking spots and electric charging points, taxi and chauffeur hailing and journey planning. Partnerships have been proliferating across the auto industry as increasingly massive investments are needed to develop new technologies. Honda recently invested in General Motors' self-driving car unit, BMW is working with Intel and Fiat, and Daimler has linked up with components supplier Bosch.